New Zealanders know the sophoras, or kōwhais, by the copious yellow flowers which appear in spring. These are attractive to a number of native birds because of the honey they contain. 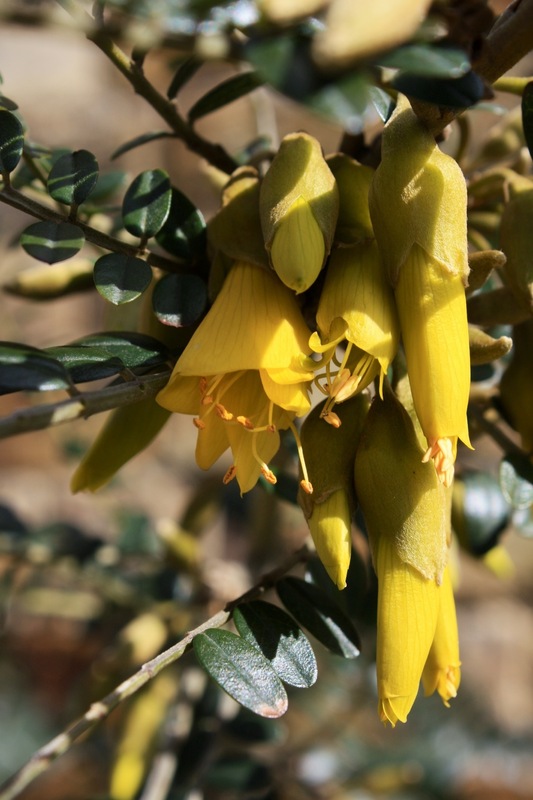 Our heathen sparrows have yet to discover the pleasures of Kōwhai, but the variety Sophora microphylla ‘Sun King’ produces an unmissable show at this time of year. It’s evergreen, hardy, can be trained against a sunny wall or fence, or simply be left to form an open shrub. Thank you for causing me to think and check out different plants. This is gorgeous. I can’t grow it here but I love being able to learn about it and see its beautiful flowers.